Ruth Page embraced a life of artistic restlessness, in which a quest for the new, with a refusal to conform to any one style of dance, became her legacy in A LIFE OF FIRSTS. From the heartland, she choreographed, danced, toured, and produced in all parts of the world. Ruth was employed by, collaborated with, and employed some of the greatest artists of the 20th century. Here included are Irving Berlin, Adolph Bolm, Antoni Clave, Aaron Copland, Andre Delfau, Sergei Diaghilev, Katherine Dunham, Margot Fonteyn, Harald Kreutzberg, Rudolf Nureyev, Isamu Noguchi, Anna Pavlova, and Bentley Stone to name a handful from an extensive list. Through her life example, she blazed the trail of possibilities that lay ahead for American dance. Emanating from Chicago, the visionary work of Ruth Page influenced the growth of theater design, opera ballet, and dance. She achieved worldwide recognition as a true pioneer of dance in America. She was an adventurous innovator creating in four great mediums of dance: classical ballet, popular review, modern, and opera ballet. By age 12, Ruth was seriously studying dance. 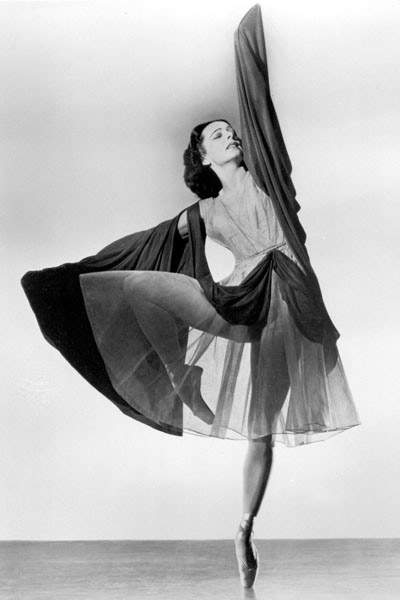 In 1917, she attracted the attention of Anna Pavlova. Ruth's first professional curtain opened when Pavlova invited her to dance on Pavlova's final South American tour in 1918-19. Adolph Bolm provided Ruth with her first starring role in his 1919 production of The Birthday of the Infanta. As her life in the art of dance unfolded, Ruth Page established a record of being first by creating at the forefront of social, political, and artistic issues. For Ms. Page, the ballerina, to cross over and be featured in Irving Berlin's 1922-24 Music Box Revue, a popular review, was astonishing for its time. She was the first American to dance with Diaghilev's Ballet Russe in 1925. In that spring, she was the first American to commission George Balanchine, another newcomer to the Ballets Russe, to create a ballet for her, Polka Melancholique. From 1926 through 1928, she became Ballet Director of the Ravinia Opera, danced with Chicago Allied Arts for Marie-Queen of Romania, and was the first American guest ballet soloist with the Metropolitan Opera. Also, Ruth Page was the international ballerina invited to perform in honor of the coronation ceremonies of Emperor Hirohito in Tokyo, Japan. During this time, the great composers Prokofiev, Gershwin, and Stravinsky played for Ruth's rehearsals, and Louis Horst was her accompanist at the piano during her solo concerts in Havana, Cuba. 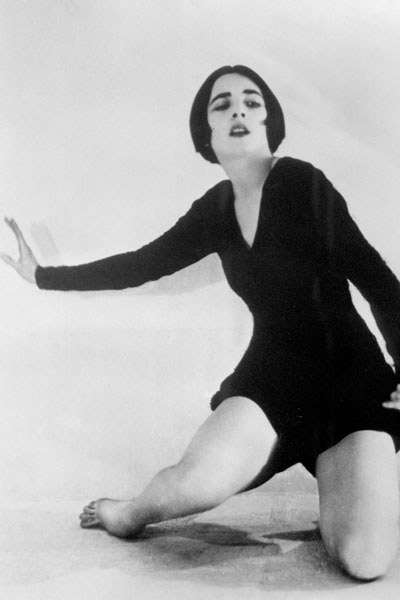 By 1932, Ruth became fascinated with the modern dance revolution and embarked upon a long association of joint recitals and world tours with Harald Kreutzberg from the German expressionistic dance school of Mary Wigman. During this time, she gave Isamu Noguchi his first dance costume commission resulting in the body-concealing elastic sack costume she wore in Expanding Universe. In 1934, she provided Aaron Copland with his first ballet score commission for her courtroom ballet, Hear Ye! Hear Ye! The breadth of her passion was in her exploring everything in dance. In the late 1920s, 1930s, and 1940s, Americana subjects, feminist ballets, and urban characters were topical in her work. A West Indian ballet, La Guiablesse, featured an all African-American cast (except for herself), starring the then-unknown Katherine Dunham and Talley Beatty. The original score was commissioned from the African-American composer William Grant Still. Ruth went after the offbeat and choreographed outside the standard classical repertory of fairy tales, swans, and princesses. She created the first Americana ballets titled The Flapper and The Quarterback in 1926 and Sun Worshipers (later titled Oak Street Beach) in 1929. As an outgrowth of the Great Depression of the 1930s, a unique government-sponsored Federal Theater Dance Project was formed. Ruth Page and Bentley Stone directed the Chicago Works Progress Administration (WPA) Dance Project and had significant success. American Patterns, conceived in 1937, took a serious look at women forced into restricted roles as mothers and wives. It is safe to say this was the first feminist ballet. During this period in 1938, Ruth and Bentley together created and danced Frankie and Johnny, a "ballet cartoon" which used humor and pathos to display the passions of a woman wronged. The theme of the individual struggling against standardized conventionality was familiar, but it was not usually expressed in a ballet, or from a woman's point of view! Following the WPA, Ruth and Bentley appeared in New York's upscale Rainbow Room dancing their humorous and romantic duets for the delight of cafe society. The Page-Stone Ballet was the first American ballet company to tour South America. No matter what political or economic changes were occurring in the world, Ruth was passionately dancing and living. Perhaps Ruth Page is to be best remembered for her tireless work in founding and operating dance companies in Chicago. From her first association with the Ravinia Opera in 1926 until the last years of her life (for more than 60 years), she took on the roles of prima ballerina, choreographer, director, financial backer, visionary, and the grand lady of Chicago dance. Her vision, commitment, and involvement promoted the Allied Arts, Chicago Grand Opera Company, Ravinia Opera Festival, Federal Theater/WPA Dance Project, the Lyric Opera of Chicago, Chicago Opera Ballet, Chicago Ballet, Ruth Page's International Ballet, and The Ruth Page Foundation and School of Dance. She served as choreographer/director of The Nutcracker at Chicago's Arie Crown Theater in McCormick Place when it premiered in 1965 until the mid '80s. Ruth managed another dance world coup when she was the first American choreographer to employ Rudolf Nureyev after his defection from the Kirov Ballet to the West. He danced the grand pas de deux from Don Quixote with the Ruth Page Chicago Opera Ballet at the Brooklyn Academy of Music in 1962. In her long association with the opera as its Ballet Director, her ambition was to free the ballet from stiff traditions and create "opera into ballet" because, as she stated in her writings, "I was dissatisfied with the way operas looked, yet loved the way they sounded." She achieved another series of firsts as she adopted the librettos and recreated the operas and the music into her dance vision. Starting with Carmen by Bizet, she created Guns and Castanets. Her second inspiration came from I1 Trovatore, which she titled Revenge. Through lengthy contractual negotiations, she managed both brilliantly and beautifully to produce The Merry Widow. It became a smashing success. She continued with more operas, completing the cycle with Die Fledermaus. These opera ballet recreations inspired her to employ some great artists of the century to design and perform in her productions. A short list includes Sonia Arova, Eric Bruhn, Isaac Van Grove, Melissa Hayden, Barbara Karinska, Jose Limon, and Alicia Markova. The New York performances were such a phenomenal success that Columbia Concerts booked the opera ballets coast to coast for over 15 years. In making her art and following her pioneering vision, Ruth provided work for innumerable artists, launched careers, and provided the public with a consistent world-class experience. Standing today in Chicago is The Ruth Page Foundation, housing a performing arts center and school of dance, directed by Larry Long. Page by Page (1978), and Class-Notes On Dance Classes Around the World (1984), are two books she wrote that provide educational insights into her training, world experiences, and views on dance. A Chicago street is named in her honor. The Chicago dance community annually gives the Ruth Page Awards for outstanding dance achievement in Chicago, and a dance series is produced in her honor by Northeastern Illinois University and an annual Ruth Page Week of Dance is presented by the Ravinia Festival. The spirit of her choreography through recreation and by inspiration continues her universal vision. An elegant Chicago icon, an original vibrant among her peers with eloquent passion, Ruth Page lived A LIFE OF FIRSTS. This project, A LIFE OF FIRSTS, was supported in part by the Illinois Arts Council, the Nevada Arts Council, and the National Endowment for the Arts, a federal agency. Professor Gordon was supported in part by a Faculty Development Grant from the University of Nevada, Las Vegas. A vital force in American dance. Among our most American icons is this pioneer woman dedicatedly scanning the distant frontier.